Moto Guzzi Rear Luggage Rack For California 1400 Touring and Custom. 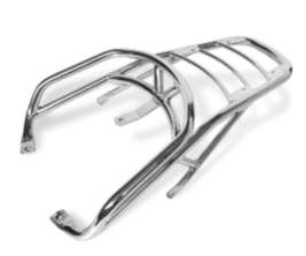 This rear luggage rack is chrome plated steel and is required to mount either the 60 Liter or 50 Liter top box. Installation instructions in .pdf format. Not compatible with C-Bow side cases.